ESKO Support Service is designed to meet all the IT support needs for your business -all at one predictable price. Unlike traditional IT Support, we do more than provide support when you face IT problems. 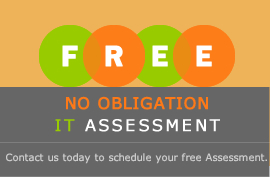 We proactively manage and monitor your IT systems. Our IT services include regularly scheduled maintenance of your systems to reduce the problems that your IT environments could experience. We will do a comprehensive evaluation of your computers and network. Our goal is to offer a prompt response to any incident you might encounter and to make the most of the technology you already have or suggest affordable long-term solutions. Depending on your needs and budget, we offer 3 office support plans for your network: Basic, Standard, and Advanced. Simply choose a service plan that fits your needs to get started. Please fill out the form or contact us for additional details and pricing.